Big rod-caught pouting can weigh 1 Kg (2¼ lbs) or more. The average pouting weighs around 0.6 Kg (1¼ lbs). The pouting is a small fish, rarely growing larger than 30 cm in length and has a short life span of around 4 years. Its body is rounded and red-brown/copper in colour with a white/cream underbelly, it typically has 4-5 dark bands on its sides although these can fade after it has left the water for some time. The pouting has three dorsal fins, with the first being particularly recognisable due to its significant height and triangular shape. It also has a noticeable barbule on its chin and a small dark spot at the base of each pectoral fin. Fish strips such as mackerel, herring and squid are ideal for catching pouting. Ragworms, lugworms, mussels, cockles, small crabs, shrimps, prawns, sandeels and razorfish can also all be used. Pouting can be caught thoughtout the year. During June, July, August and September it comes inshore shallow waters, from October to May it withdraws to deeper waters. 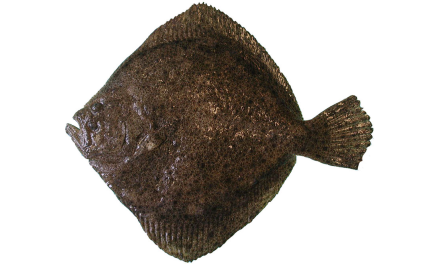 Pouting favour areas very close to the seabed to look for food, however they can rise to feed around the mid-water level. Pouting prefer to feed over sand-grit, rough and rocky ground, with wrecks, weed-covered boulders and pier supports being hot spots. Pouting is common throughout most British waters although the best catches are in southern waters. If fishing from the shore for pouting, a basic leger rig or a two hook paternoster rig are recommended. A three hook paternoster rig or a two boom paternoster rig are ideal when boat fishing for pouting. When fishing with a float or paternoster rig aim to offer your baited hook(s) between 355 mm (14 inches) and 1 m (3 ft) from the seabed. Prevent small pouting from biting by using a large bait – big fish like big bait.